Have you heard our latest story? drive to Grandma's for the holidays. 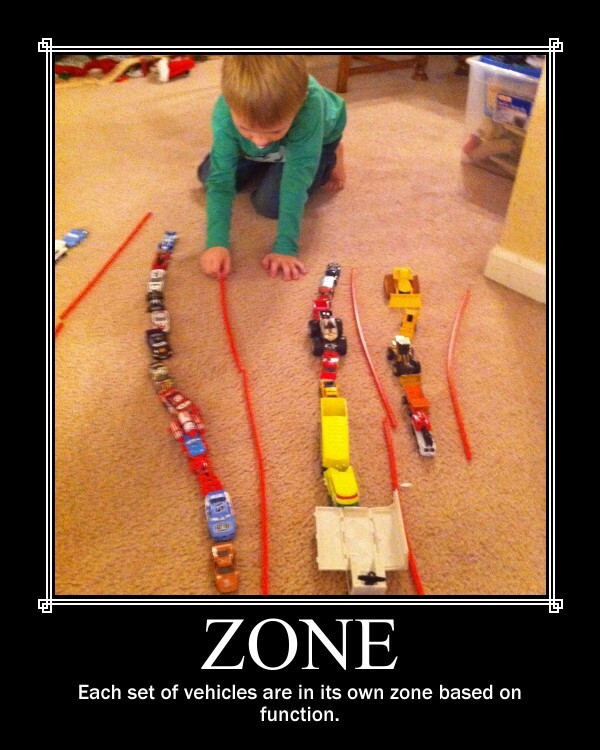 Our son enjoys separating his vehicles into zones. 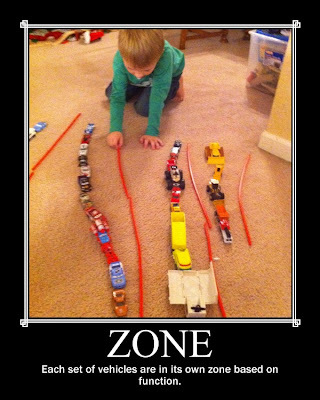 As you can see in the picture, he has a zone for race cars, a zone for trucks and a zone for construction vehicles. Have you heard zone used any other way? There are multiple definitions. You can share your visual definition of zone with us at nightlightstories@gmail.com or on our Facebook Page. brighter with the many words we can share together.